Sometimes it really isn't a savings. I scored some great priced tickets from Stockholm to Paris, however, when your already late flight is late and you miss a key exchange and end up driving at 1 AM to a city you don't want to visit with wrong instructions and the English speaking people are not around, you just want to grab some wine and cheese and relax..... We made a wonderful Dumas salad, a little wine and we got the road off our backs, Merci beaucoup. 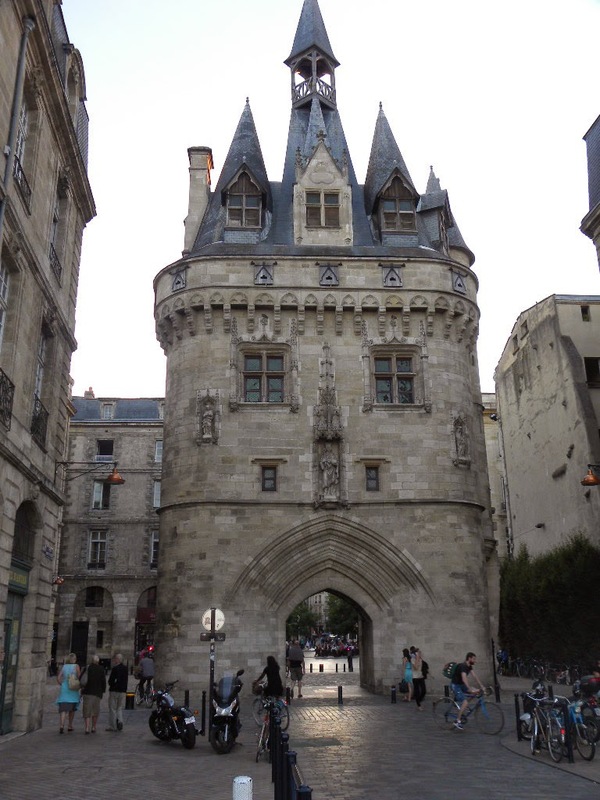 Long term stay Visa issues always pop up, the best way to to accept them is to jump on a train, get an apartment overlooking La Garonne in Bordeaux and start exploring. We are here 5 weeks if anyone is in the area. Much like their incredible wine, Bordeaux is a blend. A great Bordeaux will include Cabernet Sauvignon, Merlot and Cabernet Franc. Bordeaux the city is a blend of many cultures and lifestyles. Although the French will always dominate, the Spanish are in by 20% and the town has 70,000 students whose presence gives the city a youthful energy. Skateboarding, cycling, running are always happening around you. The city has two very long stretches of pedestrian friendly areas. The Rue Saint Catherine is a nearly one mile street of shopping without cars. The Waterfront has over 2 miles of 30' wide sidewalks to let the city have a place to breathe. Also next to this incredible public place are acres of gardens to hide and have a quiet picnic with a bottle of wine and steal kisses. An enormous skate park for all ages and skills gives terrific free entertainment as they all compete for admiration. View from our apartment window. A BIG thank you to Patricia and Pierre the owners of this apartment we found on AirB&B for all the little luxuries that make for a wonderful stay! Time to go to the south of France and spend time in a city we only drank about! Why is it all the Italian Restaurants are always crowded no matter what country we are in?? We are taking the picture from the Pey-Berland Bell Tower, which is one of the two 15th century bell towers in Bordeaux. From this view you can see it is a flat city - so wonderful for walking and bike riding! Most of the town center is pedestrian, so really the only thing you are dodging are the trams running throughout the city and the tourists on bikes. "La Belle Endormie" or Sleeping Beauty - one of the nicknames the Bordelaise give to their city, (and it is not a Disney Princess reference), mainly because of what pollution has done to the buildings. The city is still a work of art in progress though, as you still see many streets and building in need of TLC - not so Sleepy anymore with all the work being done in the city. Bordeaux, also calls itself "The City of Art and History" with 362 monuments and the old city itself is "...an outstanding urban and UNESCO architectural ensemble of the 18th century created into a melting pot of humanism, universality and culture..."
A quiet morning facing St Andre Cathedral. 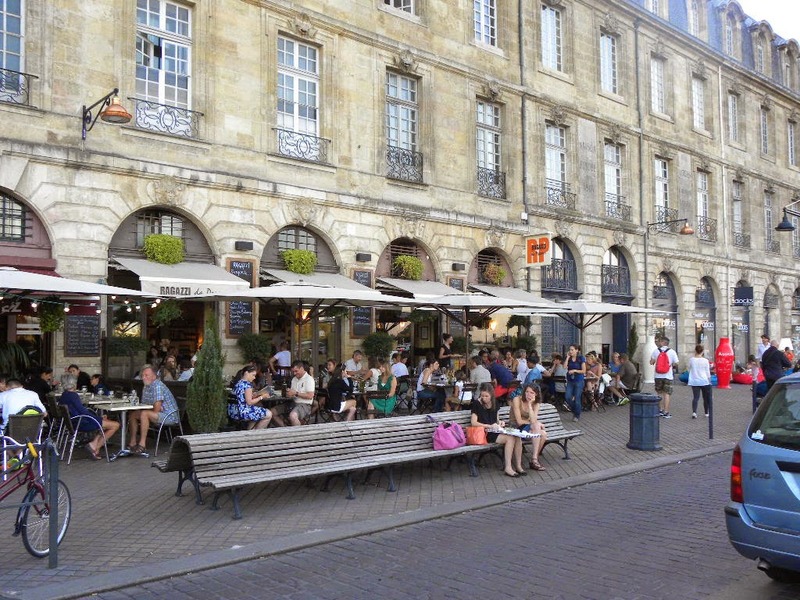 Bordeaux is sometimes known as "Little Paris" - when you compare the populations in the Metro area, Bordeaux has 1.1 million people vs 12.3 million in Paris, being in a town this size is rather enjoyable. The building in the background is the Place de la Bourse or the Place Royal. Stunning 18th century architecture. 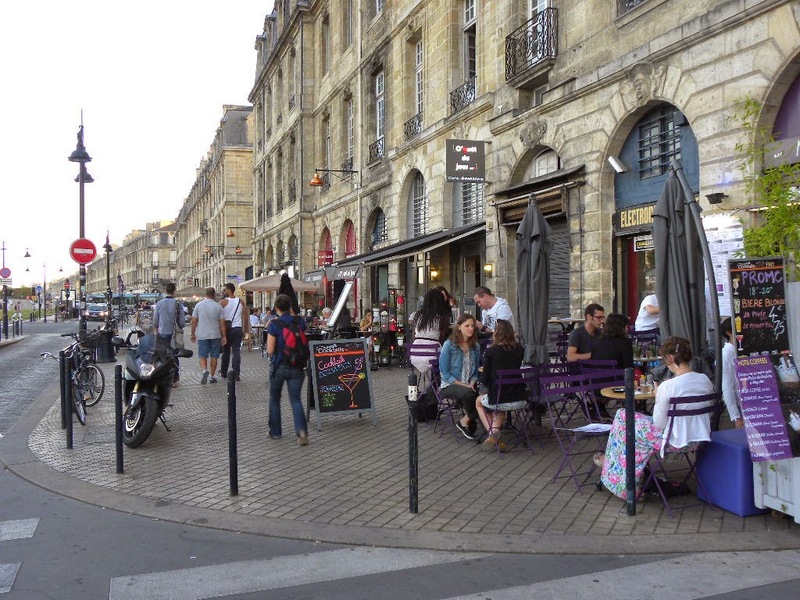 The Chartrons neighborhood by the Notre Dame Church - --- an old neighborhood where the "out of town" wine merchants hung out - now an upscale bohemian mix of antique shops, wine houses, mixed with the artists. Hanging with the students of the University of Bordeaux - one of the largest campuses in Europe with 70,000 students which makes for a lively nightlife here. The students are all going through "Rush", so even during the day hordes of students take over the city dressed up usually in Greek togas and other festive costumes. "... Bordeaux today has 7,800 winegrowers with the average vineyard size 15 hectares (about 37 acres) and produces 700 million bottles a year (89% red / 11% white), this is only 1.4 % of global production in the world but accounts for 80% of all wine resold..."
A Cabernet from the Medoc Appelation. I have attentively done my look and smell, now the taste.....I take a small amount of wine into my mouth and "chew" it well to asses the wine's balance, then as I am "chewing", I am told to breathe air in through my mouth and expel it through my nose (this is called the "retronasal effect")..... since I can't do two things at once, do I need to tell you what happened next? Why would anyone want wine expelled through their nose???? Somehow, that part of the tasting I failed. Note to self: Do not wear a white blouse if I pass to the advanced class. Swine and Dine lost a member this week, Tony Tirri. A great man, a wonderful cook and our friend. We dedicate this Post and our 12th Century Chateau Post to him.